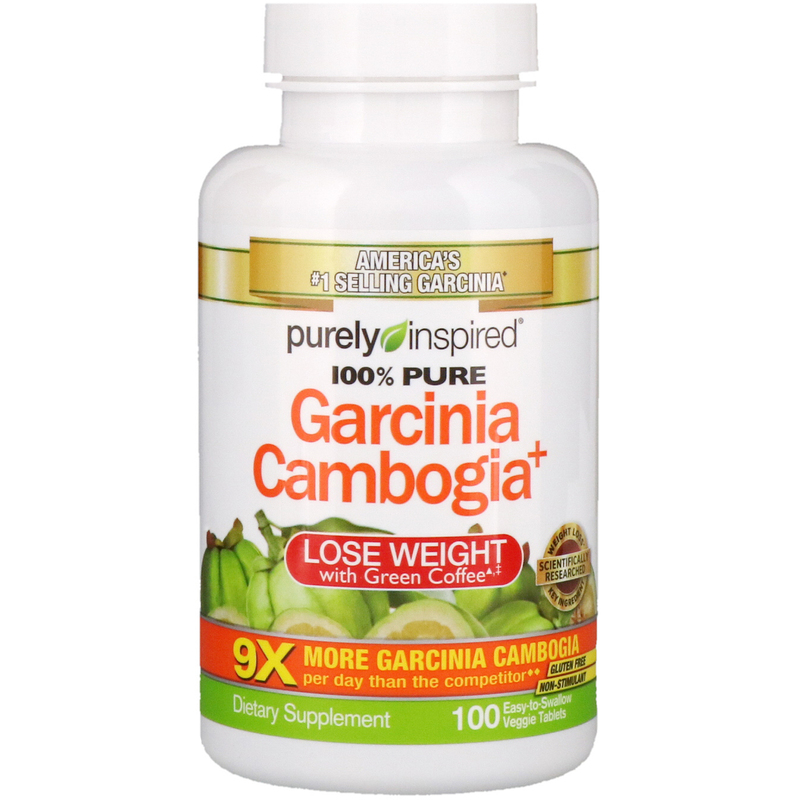 Why Purely Inspired 100% Pure Garcinia Cambogia+? Contains 9X more Garcinia cambogia per day than the competitor. Purely Inspired 100% Pure Garcinia Cambogia+ is subject to quality controls. Garcinia cambogia is a subtropical fruit. Unlike other products, Purely Inspired 100% Pure Garcinia Cambogia+ is formulated with no proprietary blends. 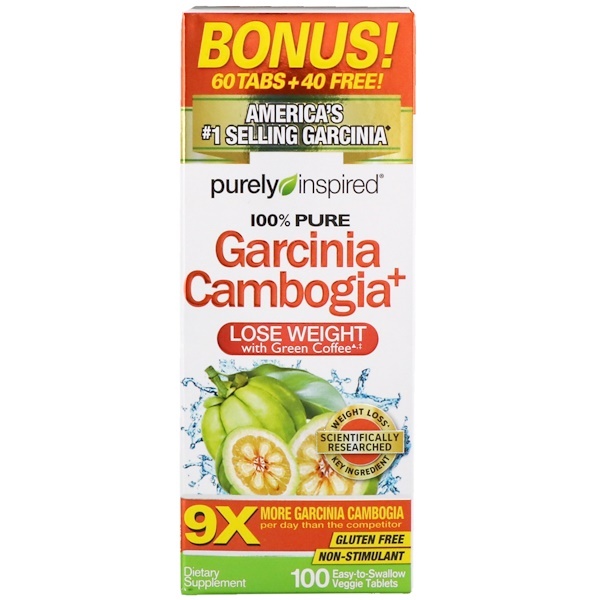 Purely Inspired 100% Pure Garcinia Cambogia+ delivers 200 mg of green coffee extract per serving for weight loss results, plus 1,600 mg per serving of the popular ingredient Garcinia cambogia. ‡Average weight loss with key ingredient (200 mg of green coffee bean extract) was 10.95 lbs. in a 60-day study with a low-calorie diet, and 3.7 lbs. in a separate 8-week study with a calorie-reduced diet and moderate exercise. ♦Based on AC Nielsen xAOC sales data for Garcinia Cambogia supplements for 52 weeks ending May 20, 2017. Take 1 serving (3 easy-to-swallow veggie tablets) twice daily, 30 to 60 minutes before your 2 largest meals. A third serving may be added before your third meal. 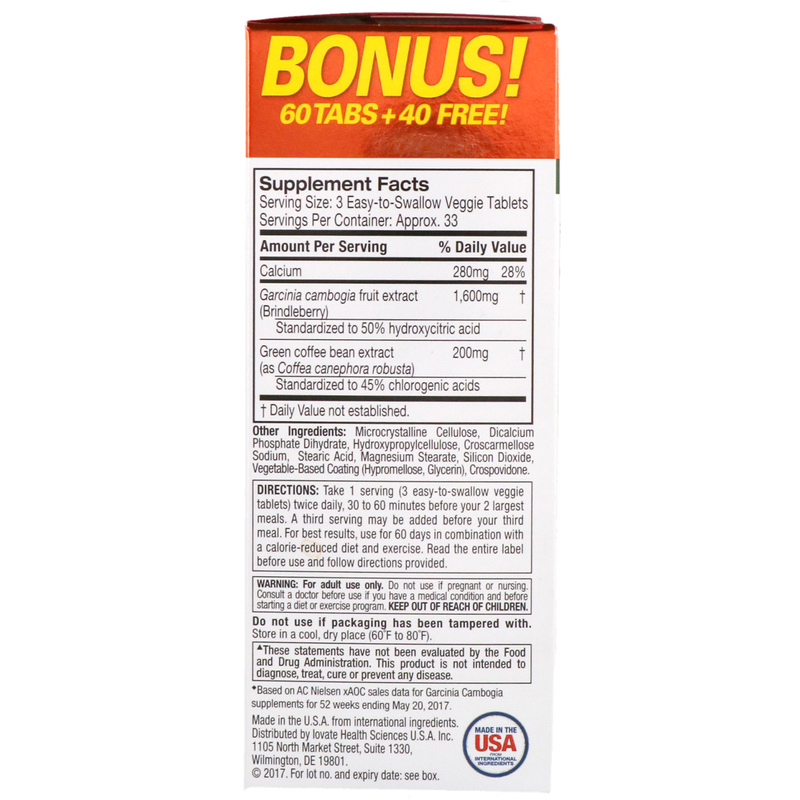 For best results, use for 60 days in combination with a calorie-reduced diet and exercise. Read the entire label before use and follow directions provided. Microcrystalline cellulose, dicalcium phosphate dihydrate, hydroxypropylcellulose, croscarmellose sodium, stearic acid, magnesium stearate, silicon dioxide, vegetable-based coating (hypromellose, glycerin), crospovidone.